Trucking accidents account for over one-fourth of all vehicular accidents. Because of their size, large commercial trucks are more dangerous than other vehicles. Due to the weight of these trucks, serious injuries can occur, even in low speed collisions. The Glorioso Law Firm has extensive experience in New Orleans, Louisiana and across the United States in handling trucking accidents. Whether it’s a catastrophic personal injury, wrongful death or minor injury, The Glorioso Law Firm will litigate and fight for the compensation you deserve. Commercial trucks, 18-wheelers, and tractor-trailors can present unique challenges for a personal injury lawyer. The attorneys at The Glorioso Law Firm have the experience and knowledge to investigate and litigate these accidents. As a result of their size and weight, truck accidents often result in devastating injuries to those riding in passenger cars or motorcycles. These injuries may include traumatic brain injury, paralysis, disfigurement, and amputation. Sometimes these accidents result in multiple wrongful deaths. Federal laws establish strict and detailed standards that trucking companies and their drivers must meet. Most of these federal regulations are in Title 49 of the Code of Federal Regulations. If you have been injured in an accident with a commercial truck in New Orleans, you may need a New Orleans truck accident lawyer. The federal regulations govern matters such as how many hours a truck driver is permitted to drive before he or she must take a rest break, how heavy a truck’s load may be, and the kinds of information a trucking company must find out about a prospective employee. Fatigue is the result of physical or mental exertion that impairs performance. Driver fatigue may be due to a lack of adequate sleep, extended work hours, strenuous work or non-work activities, or a combination of other factors. The Large Truck Crash Causation Study (LTCCS) reported that 13 percent of commercial motor vehicle (CMV) drivers were considered to have been fatigued at the time of their crash. An experienced personal injury lawyer will be able to investigate and determine if driver fatigue was the cause of an accident. If you or a family member have been injured in an accident involving a commercial truck, semi-truck or bus, you should call The Glorioso Law Firm immediately so that we can begin protecting your rights and investigating the cause of the accident. 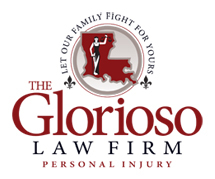 If you think you may need a personal injury lawyer, contact The Glorioso Law Firm at (504) 569-9999. The Glorioso Law Firm represents injured persons who have been injured in truck accident cases in New Orleans (Orleans Parish), Metairie (Jefferson Parish), Covington (St. Tammany Parish), Kenner, Gretna, Harvey, Mandeville, Slidell or any other city or parish in Louisiana. If you’ve been involved in a truck accident in Louisiana, The Glorioso Law Firm will fight to get the compensation you deserve. Call a New Orleans truck accident attorney at 504-569-9999.